Ransomware Is An International Problem – Including Belize – Be Prepared! 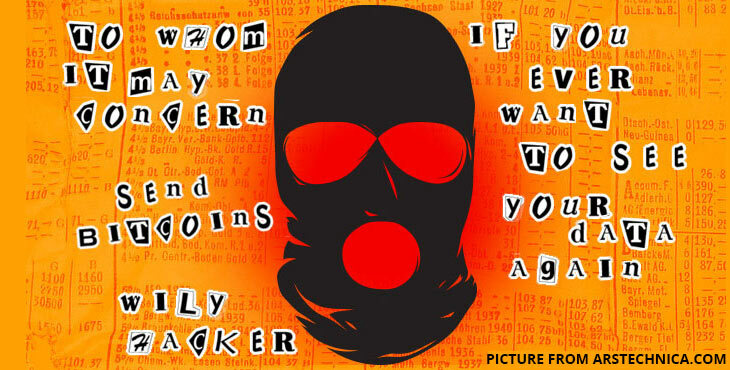 Ransomware is a type of malware (malicious software) that restricts access to your computer system and then demands that the network owner pay the malware operators to remove the restriction – in short you cannot use your network/files until you pay someone a ransom. The really bad part of this deal is that although someone may pay the ransom there is no guarantee that they will actually get the information necessary to get the network going again. The use of ransomware software started in Russia, expanded internationally in 2013 and is on a sharp rise going into 2016. So do you have to worry about this? The answer is a resounding yes!! Those that are running these ransomware operations have hit people and organizations from individuals at home with a personal computer to large organizations with hundreds/thousands of computers. Also, just this week, we heard about a case of a ransomware attack here in Belize. So as long as you are using a computer than this is something that you have to prepare for. The question is what can you do to reduce the chance of something like this happening to you and if it does what are your options? You have likely heard the saying that “an ounce of prevention is worth a pound of cure” and in the case of ransomware this is definitely true. Keep programs and operating system updated: There are a lot of programs out there (like your internet browser) and at times security weaknesses can be found that allow other people to access your computers. Keeping your programs updated will reduce the chance others can use these weaknesses to access your computer or network. Also, updating your operating system (like Windows) is very important as well. Use good anti-virus software: A good anti-virus program is a must and you can look online for reviews showing the best anti-virus programs. Once a program is selected then ensure that it is installed on all computers and that there is a plan in place to keep the program updated. Backup, backup, backup: It is always a good idea to have a backup of all important files but this is especially true in regards to ransomware. Ensure that you are doing regular backups of all important files and it is very important to remember to disconnect the backup from your network once it is done…or any ransomware that runs on your network may get access to your backup files and lock those up as well. A good video about backing up files can be found online. Feel free to contact us or your local computer expert if you have any questions. Finally, as mentioned in the video, it is good to have multiple backups of your files because in many cases one backup is not enough. Educate users: No matter how good your firewall or anti-virus program happens to be, there is always a chance that email with a link or attachment that installs ransomware can sneak into your system. Many of these messages are well written and look legitimate so you always have to be on your guard. Educating users of your computers and network to avoid clicking on attachments or links that are suspicious or sent from unknown addresses is very important. One option is to use services like The Email Laundry to train your staff on how to detect and threats like this. Uninstall programs viruses use to control your computer – programs like Flash and Java have weaknesses that allow them to be used by viruses to manipulate and control your computer. Disabling these programs can significantly reduce your exposure to some attacks. Turn off Microsoft macros – Microsoft products allow macros (e.g small programs) to be developed that can be used to proform automated tasks and viruses can use this function to damage your systems. Disable this function if not being used. The above are some of the most obvious steps but there are lot of additional steps you can take as well as outlined in the following article. (Note: Just find another article about ransomware that has some interesting ideas as well). Taking the above steps will help you avoid most attempts to install a virus or ransomware on your computers; however, unfortunately there are times when even all these steps are not enough and you can become a victim of this type of software. In that case there are several likely avenues you will have to consider. Try to remove the ransomware as outlined in the middle of this article. There are also some decryption tools that will work with some version of ransomware. Restore the encrypted files from backup (this is one of the reasons that backup is so important!!). It may take some time but at least you do not have to pay to access your files again. Pay the ransom. The option is discouraged and for good reason – it allow the people doing this to profit for this behavior and, even after paying, there is no guarantee that you will gain access to your files. However, if you really need your files then there are some that suggest just to pay up. If you do pursue this option then it is often possible to negotitate over price and deadline. In short, this is a serious problem that could threaten your business or just plain make your life difficult. Taking the steps above can help you avoid this problem…so be careful, backup your files and, God willing, you can avoid being the next victim of ransomware.